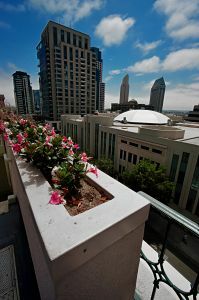 It is a great time for small businesses in San Diego to lease commercial space. The recent economic downturn has resulted in an increase in the supply of commercial space putting downward pressure on rents. More importantly, small businesses now have the ability to negotiate better lease terms as commercial property owners scramble to fill empty space. Over the last 10 years, small businesses have had little bargaining power when it comes to negotiating lease terms. Faced with a highly competitive market, commercial property space was available at a premium. Eager to scoop up a nice location, small businesses were ready to agree to whatever lease terms were proposed or risk losing the space to the next highest bidder. While a good attorney could negotiate some favorable terms, prospective tenants remained largely at the mercy of a very competitive market. The terms of a commercial property lease have value in and of themselves, and negotiating a lease that best suits your needs can have a profound impact on the future of your business. Today, small businesses concerned with expansion may be able to negotiate shorter leases. Some businesses may wish to negotiate the ability to make alterations to a space. Others might be concerned with the ability to sub-lease. Retail businesses may expect to rely on the traffic brought into an area by an anchor store and seek to negotiate a bailout clause which would terminate the lease if the anchor store went out of business or moved. Whatever the terms, commercial property owners are more likely to consider the tenants proposals. In today’s market for commercial property in San Diego, businesses have a remarkable opportunity to negotiate beneficial lease terms. It is a great time for new businesses, businesses looking for new locations and entrepreneurs interested in new start-ups to explore the San Diego market for suitable commercial space. Contacting a commercial real estate agent is a good way to get started. Once a suitable location is found, businesses should work with their attorneys to negotiate the best lease terms possible. CityFeet and LoopNet are two resources that allow businesses to search on-line for properties in their area. Commercial real estate agents can be found in the Yellow Pages.